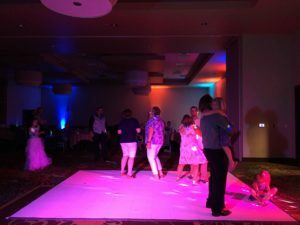 We have recently added a dance floor to our services! We have any custom size dance floor. Here are some photos of our dance floor ! the traditional wood dance floor witch looks outstanding under dance lights and adds spice to a event for more formal look to your event! 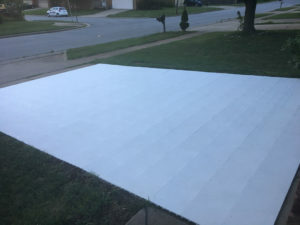 Q: Will the dance floor work on a outside field or yard? A: Yes. Please mow the grass as short as you can but we ALWAYS bring sub flooring to keep the dance floor intact and sturdy. Q: Will you set it up for me. Take it down. And keep it clean because its white? A: Yes. We set it up, tear it down, & keep it clean! We typically have our photo booth attendant do ALL dance floor duties. Q: How much for a 18x18 vs 9x9? A: 18x18 is about $500.00 vs 9x9 is about $300.00. It really depends on what package you get the higher package the cheaper is gets. for example Dj/Photo booth/ Dance floor Package is $1,400. You save around $300.00 total with PB and DF. Excuse the weird audio you tube made me turn mine off copyright lol!